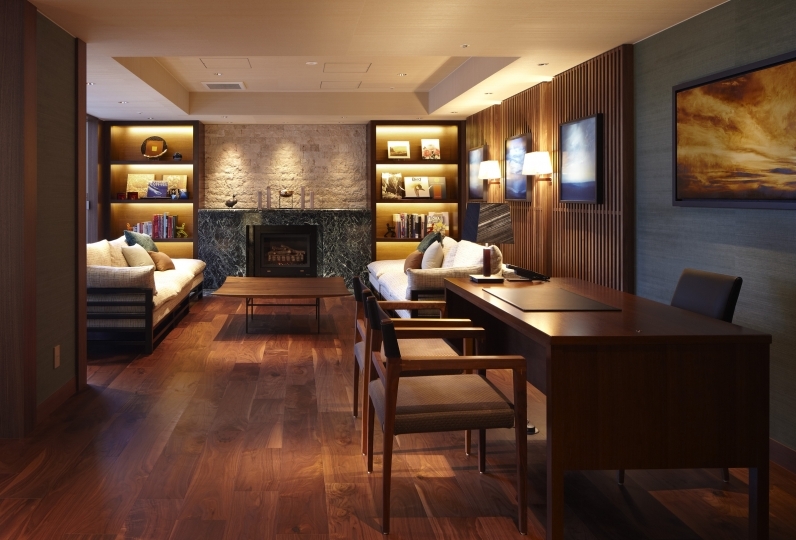 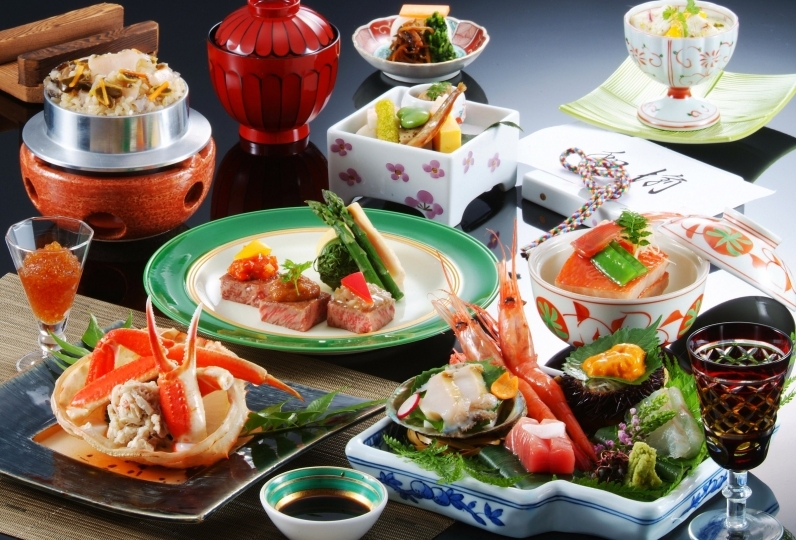 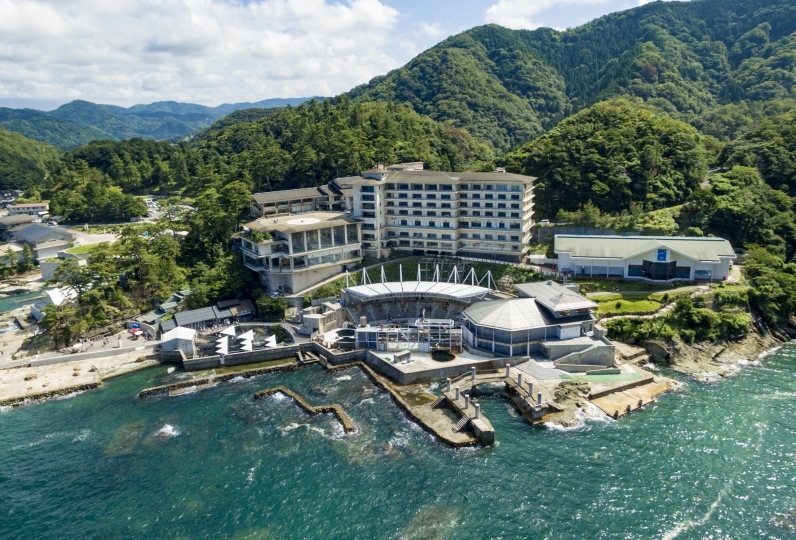 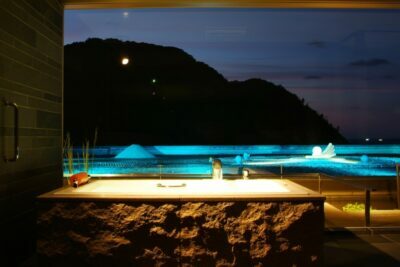 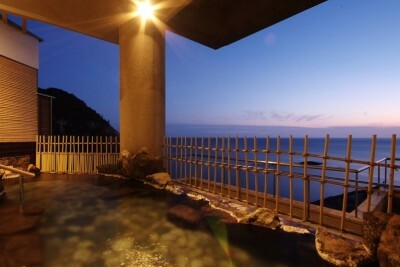 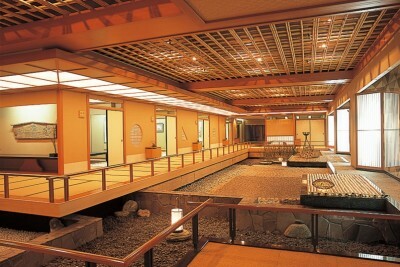 Book Hotel Kinparo in Kinosaki Onsen— Located next to Kinosaki Marine World, famous for its dolphins, this hotel is convenient for sightseeing. 160 min by JR Limited Express from Osaka Sta. 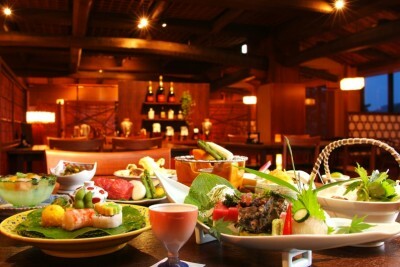 Famous local Tajima beef. 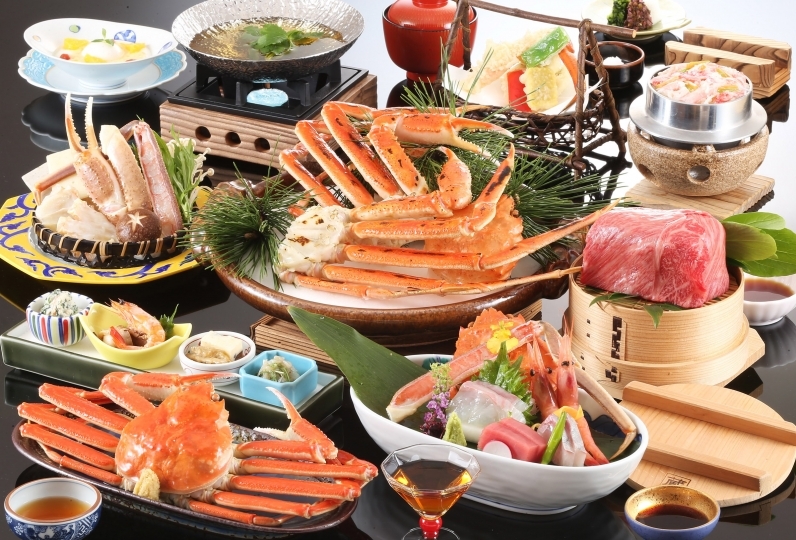 local Japan Sea seafood. 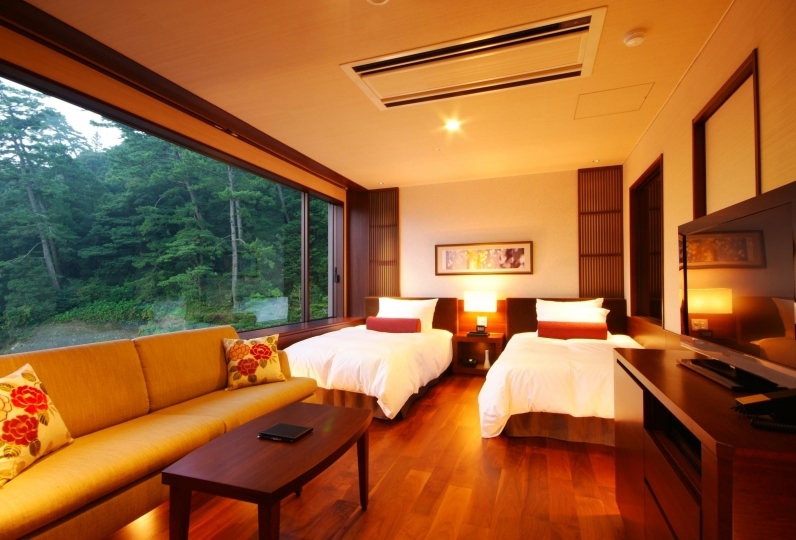 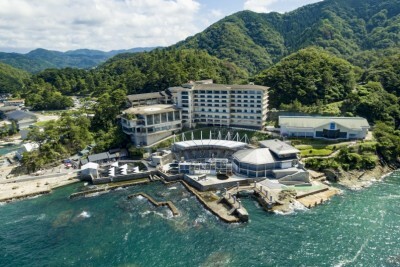 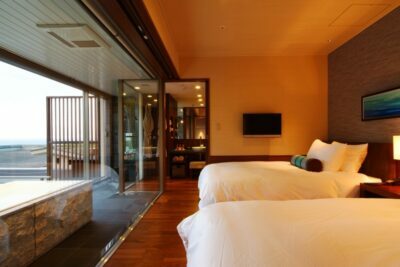 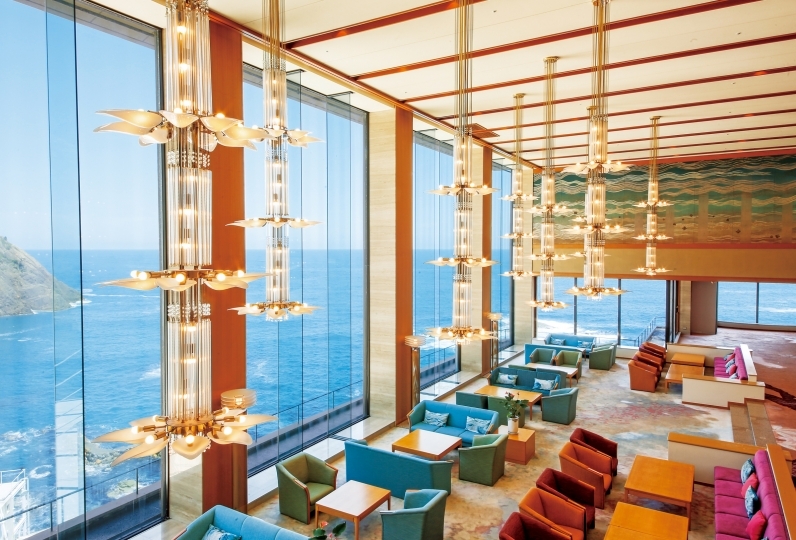 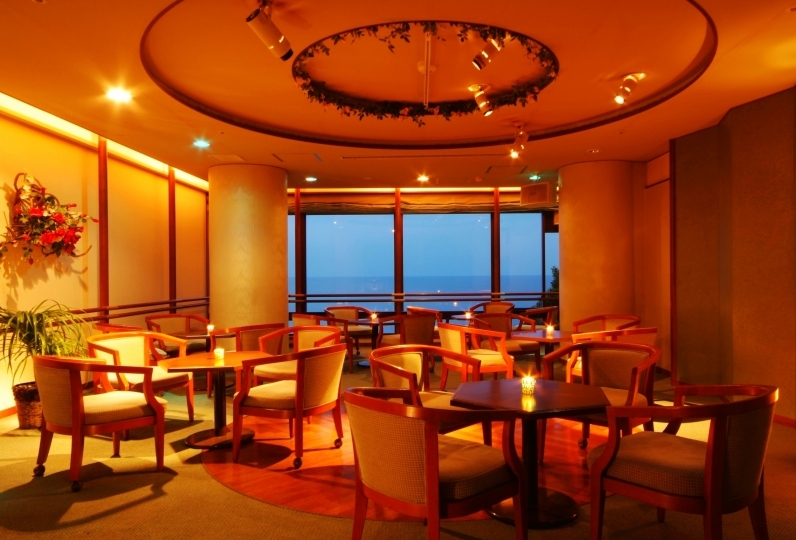 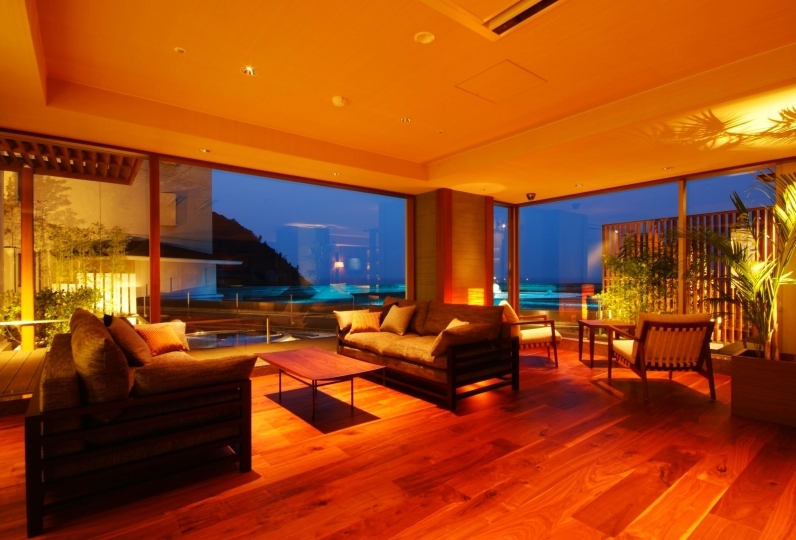 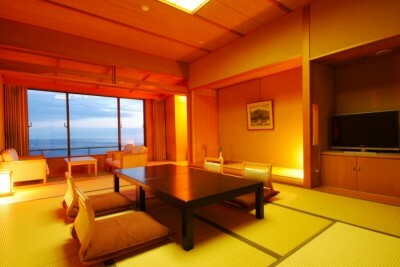 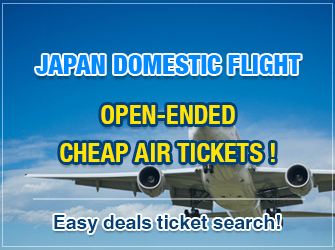 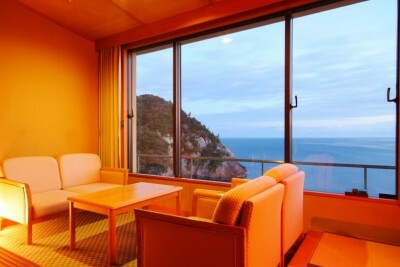 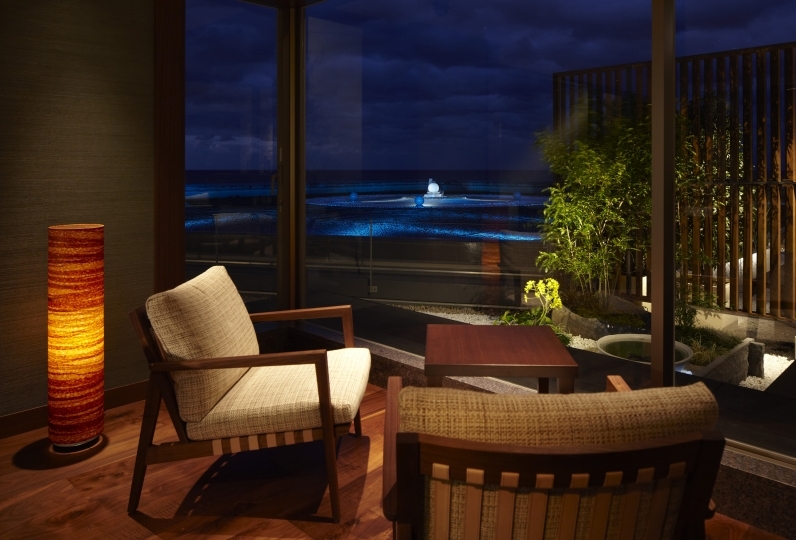 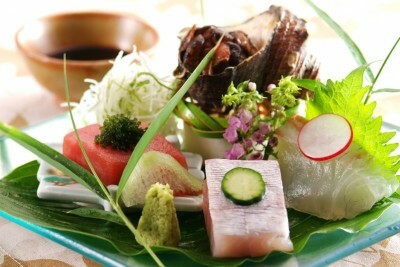 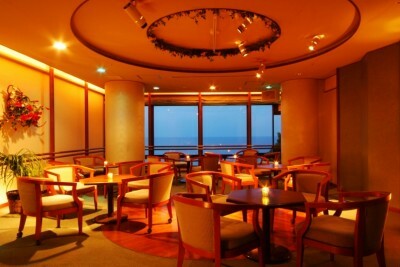 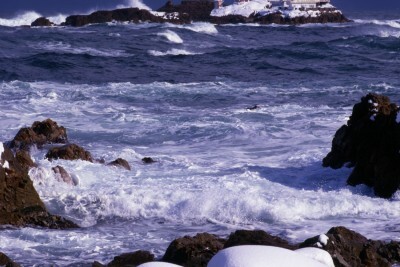 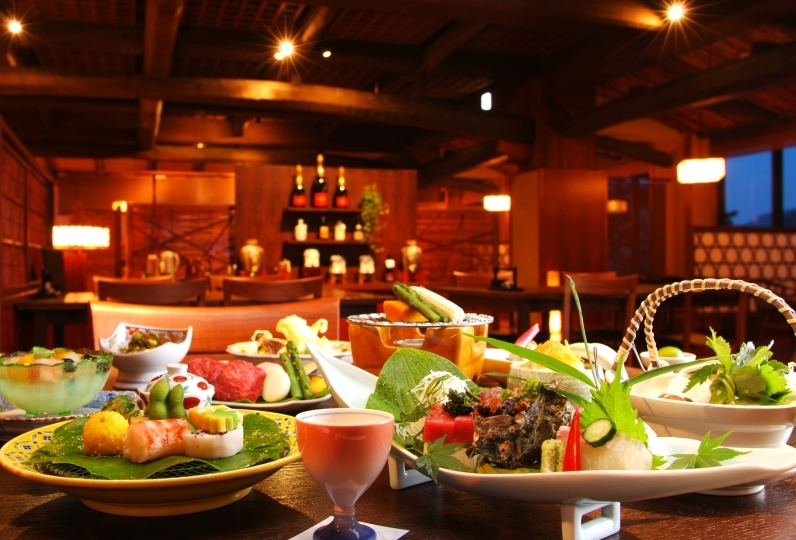 This hotel is located in Sanin Kaigan National Park along the dynamic Sea of Japan. 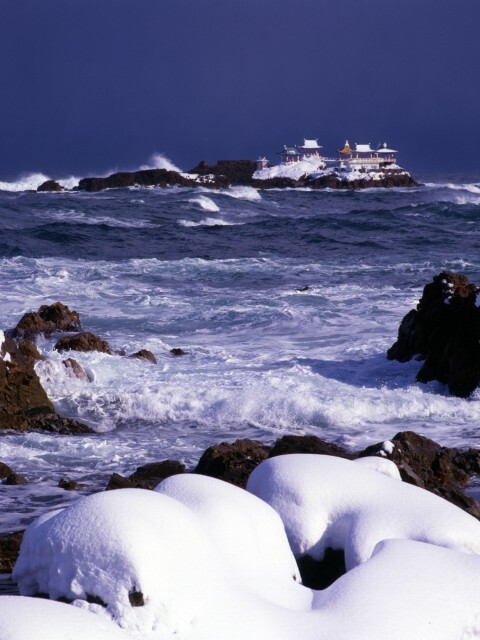 Snowy ryokan floating on the ocean, Hyogo.